Jack Owens is the author of the new novel Watchman: JFK's Last Ride, a novel about the assassination of President Kennedy. 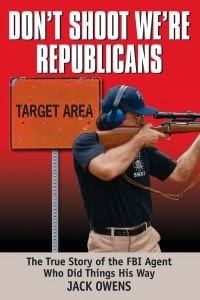 Owens, who spent 30 years in the FBI, also has written a memoir, Don't Shoot, We're Republicans. He lives in Birmingham, Alabama. Q: How did you combine the real and the fictional in your new novel, and what balance do you think worked best for the story? A: After studying the assassination for 50 years, 30 of those years as an FBI agent, I knew the evidence and the official findings inside out, the Warren Commission’s conclusion that there was no conspiracy and that Oswald acted alone. However, there were enough shadows in the government’s version to fashion a plausible yarn about what could have happened that day in Dallas, that indeed there could have been more than one shooter. I concentrated on the single bullet theory that buttresses the official report, the Magic Bullet proposition that one bullet fired from behind went through two bodies, causing seven wounds in President Kennedy and in Texas Governor John Connally. If that single bullet did not go through two bodies, then there was more than one shooter and we have a conspiracy. The key for me in writing this novel was plausibility. How a conspiracy could have been carried out, sticking close to the official findings, then layering them with fictional characters and events to turn the Warren Commission upside down. Many conspiracy theories are simply preposterous and have little or no credibility. In my novel, the successful plot by the CIA and elements of the American military to kill JFK is quite plausible, and involves three assassins, the classic triangularly fire ambush. Oswald fired from the Depository while a second assassin fired from behind the picket fence on the Grassy Knoll, both firing with such utility and efficiency that the third assassin did not have to fire at all. I take the reader backstage in the FBI, in the CIA, and in Soviet military intelligence, using my knowledge as an FBI insider with three decades in the spy business. My long experience makes this novel quite real. Q: What impact did John F. Kennedy's assassination 50 years ago have on you? A: JFK inspired me to enter public service and make it my career. His murder changed the history of America and of the world for the worse. I still have not comes to terms with how the assassination could have happened in front of hundreds of witnesses and Kennedy’s protectors. As an author and admirer of Jack Kennedy, I had to write about Dallas, stamp my version of events into a novel. It had to be a novel because I could not bring any new evidence to the forefront because there isn’t any new evidence. Which is not to say that the shroud of conspiracy will never be lifted. Meanwhile, we wait. Three people can keep a secret if two of them are dead. We wait. Q: Why has the idea of a conspiracy been so persistent? A: Conspiracy theories about Dallas persist because it’s inconceivable that an insignificant nobody like Oswald, a tortured soul with a history of failure at everything, could kill the most powerful and charismatic leader in the world without help. The assassination, followed by Vietnam and then Watergate, left the American people dazed and questioning, challenging everything they were told by their government. Who can blame them? Q: How did your experience in the FBI help you in the writing of this book, and what other types of research did you do? A: I spent three decades inside the FBI doing the Bureau’s business. During the Cold War, I worked spy cases against hostile foreign intelligence services, operating undercover for four years in opposition to the likes of the KGB and their puppet East Europe services. As such, I gained first hand experience in Bureau tradecraft and the ways of the CIA, American military intelligence, and the Soviets, all layered gist for a novel about killing a president in Dallas. The twist in my novel involves what the Soviets knew about the assassination before it happened. From experience and from agents who knew him well, I detail the mannerisms of FBI Director J. Edgar Hoover, how he operated and how he talked, enough to fill up pages with rich dialogue and scenes of what the FBI leadership knew and did not know before and after the assassination. One FBI street agent, Carl Stone, learns about the conspiracy and acts. 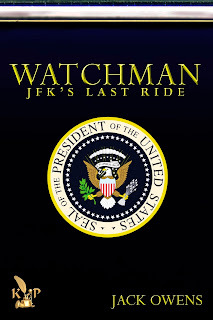 My research beyond my FBI experience involves 50 years of reading conspiracy books, stalking every word and exhibit in the Warren Commission volumes, and years of conversations with a Secret Service agent who was riding in the Dallas motorcade behind JFK. I published an article about his experiences in Dallas and his years protecting presidents from Ike through Nixon. A: I am currently writing the third in a series of novels that take place in Birmingham, Tuscaloosa, and the hind parts of Alabama, about an ugly, club-footed career criminal, Pock, a serial killer who loves flowers and Jesus and very little else. 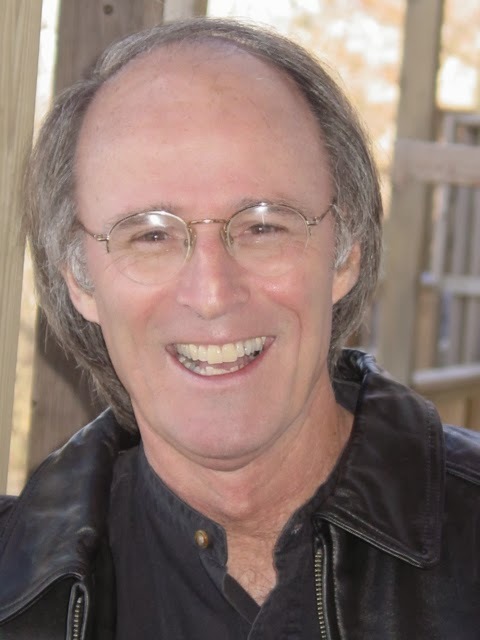 In the second novel, he meets a beautiful 15-year-old girl, the most extraordinary female athlete in Alabama, and becomes infatuated with her, eventually saving her life. The first novel about Pock, called the Pock Series, will be published by Keith Publications in 2014. A: You should know that law enforcement at every level is saturated with humor and folly. FBI agents laugh a lot, cut up, and play practical jokes on each other while presenting a starched and serious company face to the world. Quick as a daisy and as everlasting, cops wag a finger at us, asserting that the most overrated thing is the world is the FBI, followed by the second most overrated, the FBI.